When mum announces that there will be a surprise at dinner that night her two boys get a little carried away trying to guess what their surprise may be. Perhaps it's a new bike, a swimming pool or a new car? Children will have great fun using their imaginations to suggest what the surprise is. At the end they may also be able to make connections with times when they have jumped to conclusions themselves and then been let down. 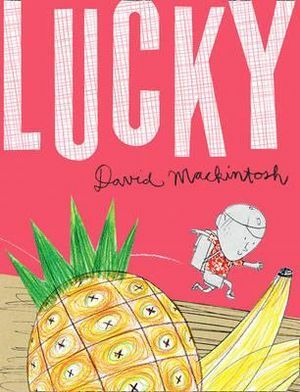 I really enjoyed the happy, quirky illustrations and the excitement portrayed through the interesting typography, but the real beauty of this book lies in the way that the characters handle their disappointment and the sweet but subtle underlying message that we are already "lucky" and should grateful for the small things we have.